Happy Halloween, everyone! As promised, Sony dropped the first-ever look at Other Ocean Interactive’s upcoming remake of the 1998 PlayStation classic MediEvil on October 31, 2018. Based on this trailer, it’s a perfectly ghoulish update of Sir Daniel Fortesque’s undead adventures. 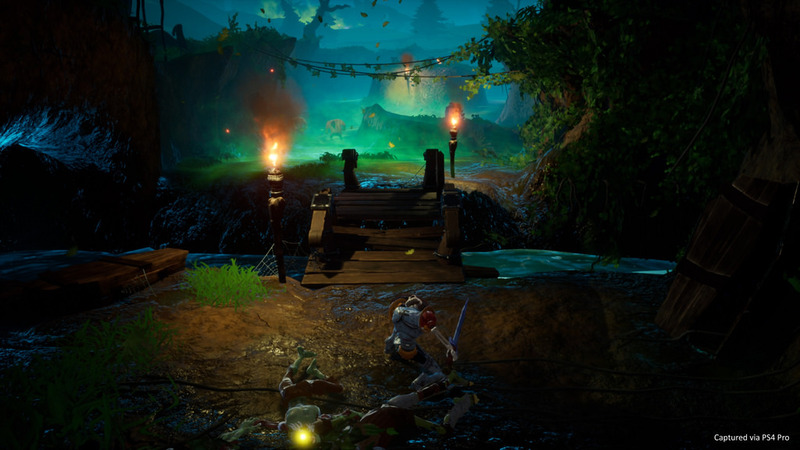 MediEvil for the PlayStation 4 will be a full-on remake that is built from the ground up. The trailer, captured in 4K on the PS4 Pro, shows just how far we’ve come from 1998. Things look to be just as eerie as ever, although the world is more fully realized this time around. If you’ve never heard of MediEvil, it follows Sir Dan, the (not-so) courageous soldier who is brought back to life after a swift death in battle. Be sure to read up on our primer on MediEvil so you’re perfectly caught up in time for the remaster! While we only got the briefest sound of Sir Dan’s voice in this trailer, his original voice actor teased a return for the remake. Sadly, a release date was not part of this reveal. However, we do know it will be coming sometime in 2019, so it’s not a lifetime away. Sony promised more information in the coming months, so be sure to keep an eye out! Just don’t lose it, like Sir Dan did. While MediEvil is not part of the PlayStation Classic lineup, this remake certainly isn’t a bad alternative. Did this new look at the MediEvil remake hit your nostalgia centers? Are you excited for the remake? Let us know!